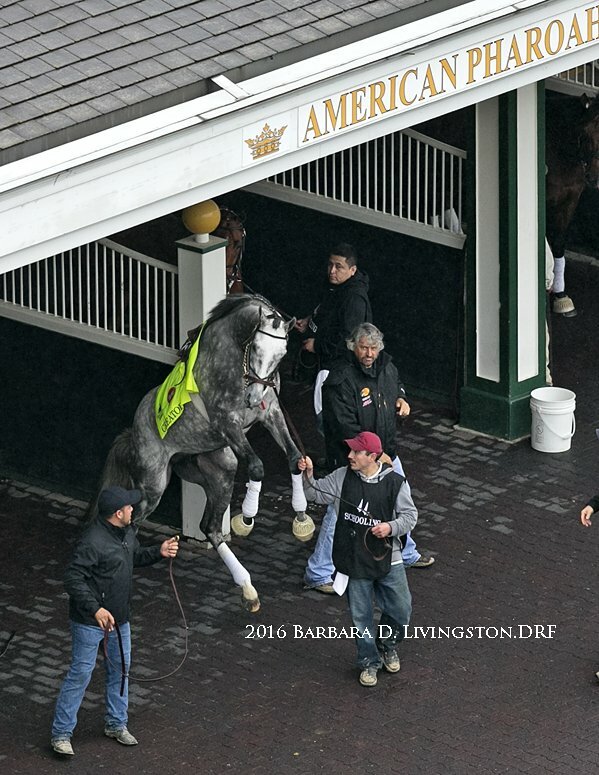 The inimitable Barbara Livingston caught Gun Runner watching very calmly Mt. Brilliant bred Creator being a very naughty boy indeed! Creator drew stall 3 in the big race – Greg Goodman and his partner Orrin Ingram are very excited!